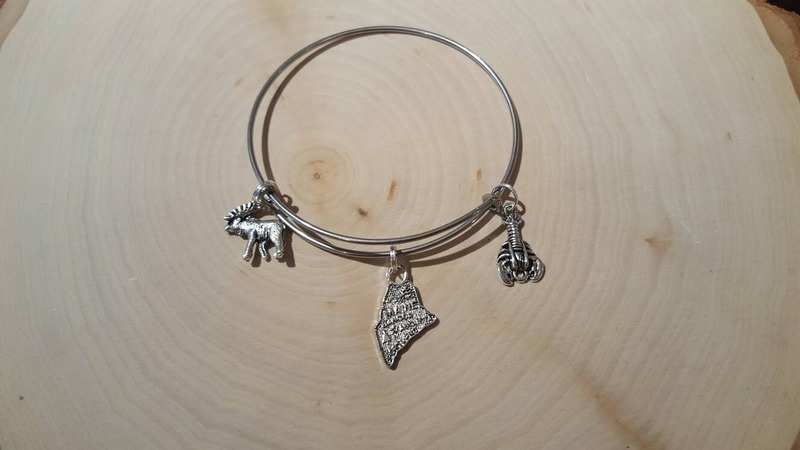 Bangle bracelet with three charms. 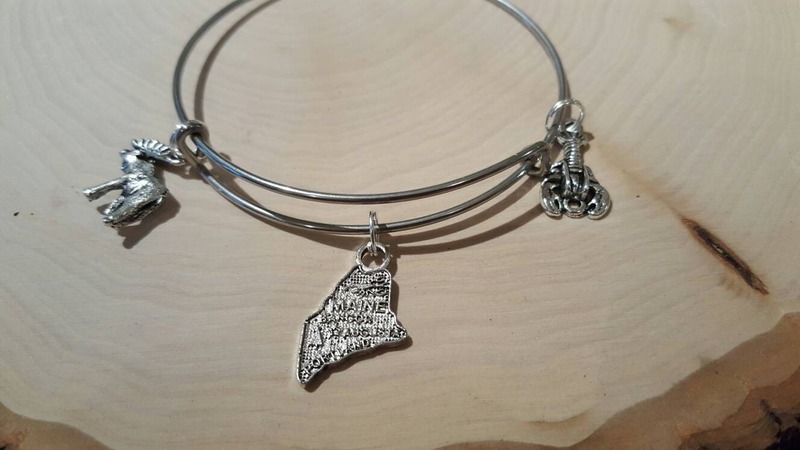 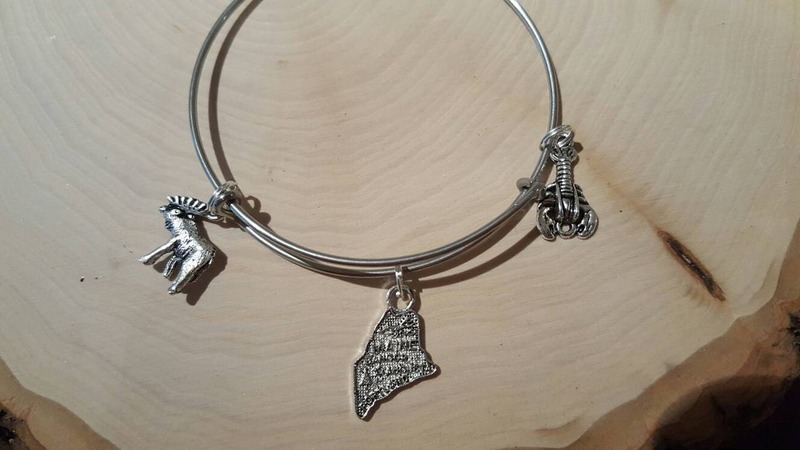 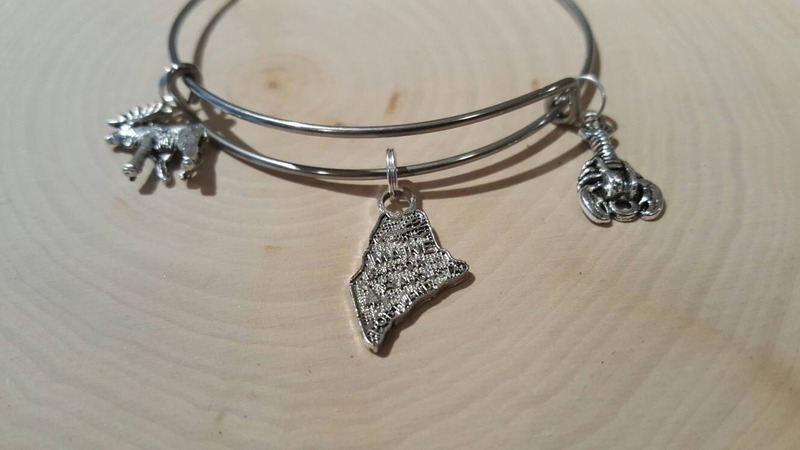 Center charm: Maine. 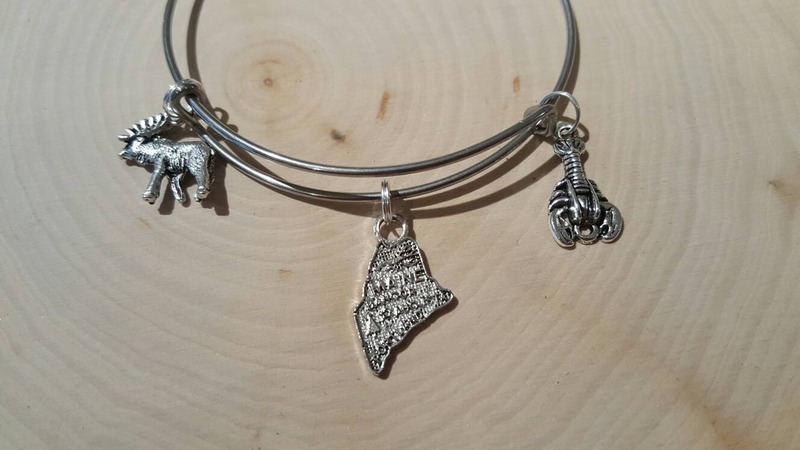 Side charms: moose and lobster charm.